Hailing a taxi is being disrupted by technology and sharing. To help you (and us!) navigate the various options for a ride—and differentiate ridesharing from rideselling—Nyron and Florencia made a handy map of the various Transportation Network Companies and what they offer. Read more about where we fit into that picture and our thoughts about taxis and the sharing economy. To enhance how Bandwagon generates routes and matches passengers’ ride itineraries in New York City, we’re assembling a new database: a repository for real time traffic data we’re calling Open Traffic. Beginning with data gathered from New York State and City Agency ﬂeets, private ﬂeets and consumer vehicles, the database will be open to anyone to use and contribute to. The hope is that Open Traffic will also serve a greater value: helping to reduce congestion, reduce fatalities, improve transportation investments, and promote multi-modal travel. Because we think Open Traffic can benefit New York and Mayor de Blasio’s Vision Zero plan to eliminate all traffic deaths, we’ve submitted the project to the city’s premiere apps competition, BigApps, and we’re thrilled to be in the running. We’re also excited to be takling the Mayor’s #BigApps idea head on. It only takes twenty seconds, and if we have enough votes by the time we pitch the project atSaturday’s Block Party, we have a better chance of advancing to the next stage. And come say hi to us and check out all the BigApps on Saturday. Independence Day Deals in NYC! Get the app now for iPhone and Android, and celebrate your independence from wasteful transportation by sharing your ride! Connect with us — and share your rides — on Twitter and Instagram and Facebook. Taxi hailing apps have become controversial. 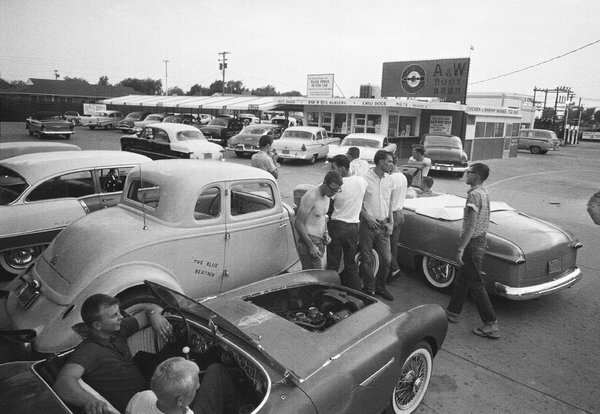 Like hand-wringing, subpoena-serving, rock-slinging, 10,000-car-protest controversial. “Ride-sharing” companies have been widely attacked and praised, accused of bypassing laws as they turn non-professionals into taxi drivers who can be dispatched with a few clicks. The controversy has raised critical questions for “the sharing economy” about labor, liability, and trust. But strangely, somewhere along the way, the meaning of ridesharing itself got lost. Words are misused all the time, and language evolves of course. Misunderstanding ridesharing (and sharing in general) is unfortunate considering how valuable we think sharing can be to the economy—and what stands to be lost if journalists, Silicon Valley, politicians and others get it wrong. “Ridesharing” isn’t only being misused by the media, from the New York Times to TechCrunch, from the Associated Press to the New Yorker. It’s also being misused by lawmakers as they craft new laws that are shaping the future of urban transportation. All this disruption isn’t really about sharing. The controversy revolves around new ways of dispatching all kinds of taxis. On one hand, it’s about the old guard of the taxi industry girding itself from disruption; on the other, it’s about how the disruptors are in some cases doing their disrupting by side-stepping laws. At Bandwagon, we think ridesharing means something different, and it’s a definition that’s actually quite common within the transportation arena: ridesharing is sharing your ride with another passenger who is going your way. Ridesharing, according to last year’s federal transportation bill, means offering the use of seats in your own car to other passengers along your route on a cost-reimbursement basis only. Like most things we share, ridesharing brings benefits to riders (saved time and money) and to our communities (reduced pollution and congestion). Ridesharing is not the same as dispatching and paying a driver to pick you up and take you somewhere, be it by raising your hand, calling a dispatcher, or using one of dozens of apps. This is hailing a taxi. In general, taxis are a shared resource and part of a smart urban transport network. This includes luxury cars dispatched by app and peer-to-peer taxis driven by amateur drivers in their own cars. Taxis fill in gaps in public transportation and bolster it too, as David King, a Columbia University professor has observed in his research on what he calls “asymmetrical mode-share.” All in all, taxis enable us city-dwellers to give up car ownership for a transportation network that’s more affordable, efficient and better for our cities. Still, taxis dispatched by apps are more likely to be called “rideshares” rather than “taxis,” even though they operate a lot like taxis, and they aren’t doing any more or less sharing than any other taxi does. We don’t call renting an apartment “building-sharing,” so why do we call hailing a taxi ridesharing? How did the term “ridesharing” come to describe an app-dispatched taxi cab? It might have been because of California law: unlike taxis, drivers who are “ridesharing” by giving people lifts to places they were already going were historically not subject to taxi rules. By branding the new services as “ridesharing”—or at least accepting the term and using it to lobby regulators—these companies found a new way into a market from which they would otherwise be prohibited if they weren’t using that umbrella term. Now, California has a new phrase, “transportation network companies,” or TNCs, a term that doesn’t exactly roll off the tongue. Meanwhile, the “ridesharing” moniker has stuck. Real ridesharing is different than that. It’s a way to better use the vehicles that we have now rather than adding new cars to already crowded roads. It’s a way of getting people where they need to go cheaply and quickly, when public transit isn’t an option or when cabs are in short supply. Ridesharing is a way of improving access to the market by making taxi cabs cheaper to take, especially at high demand times, not more expensive. At Bandwagon we’re working on real, real-time ridesharing every day. We enable passengers to book rides and get matched with other passengers in licensed taxis, car services and private vehicles. Passengers sharing taxis benefit from increased capacity and accessibility, while drivers increase earning capacity and cities reduce congestion. And instead of raising prices when demand is high, real ridesharing enables Bandwagon to lower prices. Real-time route matchmaking—that’s the stuff of ridesharing. Illustration by Brendan Dalton. New York is an especially good city for ridesharing: as a study last year found, nearly 80 percent of the city’s taxi trips could have been shared, assuming that passengers were willing to travel no more than three minutes out of their way, and were willing to share—and, relatedly, that there was a good way to connect them. One thing we can all agree on: in general, taxis are an important part of a city’s transportation system. They improve the way we use private vehicles. If there are going to be cars in cities, taxis are a good compromise. Their utilization rates are drastically higher than private cars, in some cases 1900 percent higher. Think about the amount of time your typical urban car is used versus the amount of time it’s parked curbside, taking up valuable space (in between street cleanings, let’s be honest), and then think about how taxis are used. All the new taxi apps—us included—are hopefully helping make it easier to “use” taxis and hopefully making taxis better too. Taxi regulations might serve an incumbent industry, but they also exist to keep the taxi “system” working: they prevent a glut of taxis on the road, ensure that the people driving those taxis are licensed and insured, and help cities maintain a thriving fleet of trained drivers who can make a reasonable wage. Laws helped turn the taxi business from a shady industry—what the Times in 1923 called a “yellow peril”—into a powerful, reputable part of the city’s public transit infrastructure. Given how many taxis on the road are currently underutilized—what taxi drivers call “dead head"—and given how centralized some of the control over the industry can be, taxi innovation is going to be a crucial part of our future cities. Part of that innovation includes finding ways to make better use of some of the empty seats in those taxis. Real ridesharing is awesome for cities. It can reduce congestion, expand public space, increase our ability to live dense and rich lives without totally screwing the one planet we have, and without unleveling the playing field. We’re being sticklers about terminology because we see the benefits that technology and sharing in particular can bring to our cities. We know that connecting riders to share rides has the power to undo much of the damage that excess vehicle trips have done to our public space and social fabric. As cities and companies continue to fight or choose to work together in upgrading our existing transportation systems—and we are rooting for the latter—we don’t want a buzzword to ruin what we think is a positive kind of disruption to our cities’ transportation. —Alex Pasternack and David Mahfouda are co-founders of Bandwagon. This post was edited for clarity on June 26. Google’s self-driving car prototype doesn’t look like a car. It very deliberately looks unlike a car. Early development of Google’s driverless vehicle technology was done by retrofitting normal cars from established brands. Google’s in-house prototype— the first “Google Car”—doesn’t make even the slightest effort to fit in. Though the form factor is similar to city-friendly smartcars, even among them Google’s cartoonish creation would stand out, partly due to the sensor array it has on top and partly because, head-on, it looks like its smiling. Clearly this is not an accident. It is not as if Google’s designers were trying to make a car that looks like other cars and did a poor job. It’s also not that self-driving technology dictated this particular appearance: that development continues to be done on normal-looking vehicles demonstrates this. So Google is consciously making the statement that this thing of theirs is not like a car. It isn’t a continuous evolution from cars that came before it, like electric and hybrid vehicles that are visually indistinguishable from all-gasoline cars. Indeed, this is meant to be a fully autonomous car, the kind that doesn’t even need a steering wheel. That’s because during their testing, Google discovered that, in an emergency, relying on humans to take over didn’t work. After awhile, humans get lazy in these cars, making them ill-prepared to take over. Borrowing from NASA’s design approach, Google’s new car copes with such eventualities, naturally, with more computers. A weird design is probably the smarter move for Google. There wasn’t much hope of the self-driving car debuting as something that looks just like any other car. Does this matter? I think it is a strong indication of how transformative Google thinks its driverless vehicles are. It signals a willingness to treat this project as something that will break conventions as a matter of course. Obviously, having robots take the wheel is a break with convention. Rather than minimizing that break, Google has made a deliberate choice to embrace it, hoping we’ll bask in the weirdness of their future vision. Last week, Bandwagon was at International CES in Las Vegas with a mission: to relieve the stress of the taxi lines on attendees of the world’s biggest consumer technology conference and to relieve the stress on the city’s roads too. There was also a nice bonus: a panel of judges assembled by Verizon chose us from among over a thousand companies to receive one of their inaugural Powerful Answers Awards in sustainability. We’re in great company. We’ll use the award of $700,000 to continue to build our network of riders and drivers, and to bring the future of urban ridesharing to more places beyond our bases of operations in New York, at LaGuardia Airport, and in Montreal. If you know somewhere in particular that could use some Bandwagon in its transportation life, drop us a line at hi at bandwagon dot io. We’re not just at CES, the world’s biggest consumer technology expo, schmoozing with awesome companies, trying on computers, or collecting awards (more on that in a bit): we’re also operating two shared cab lines at the Las Vegas convention center to whisk folks to hotels and other event locations, easing the process of sharing, reducing congestion, and saving everyone time and cash (for more gambling or gadgets or what have you). Using our mobile app or a curb-side kiosk, ride sharers are skipping the conference’s famously long taxi lines for Bandwagon’s Priority Rideshare Zones; think of it like a highway high-occupancy-vehicle lane for the taxi stand. With a willingness to share and a few clicks on a screen, riders avoid long wait times, cut congestion and pollution, and save cash. We’re also thrilled to announce that Bandwagon was named a winner of Verizon’s inaugural Powerful Answers Award. We were chosen as one of fifteen global companies among 1,300 submissions that’s succeeding in addressing problems of sustainability, education and health. The award comes with a cash prize of $700,000, which we’ll use to build a more adaptable and more robust service. Our premise is simple: every day millions of commuters everywhere travel at the same time and in the same direction, perhaps to the same place, but in separate vehicles. Often that doesn’t make sense. Trips are more expensive and the resulting congestion and pollution makes travel less pleasant for everyone involved. The status quo is anti-social and unsustainable. We’re doing our best to solve this straightforward problem by plugging into all of the existing networks that bind us and our cities together—networks of drivers, people, infrastructure, and information—to build cities that are more flexible and more sustainable. To get to the future of transportation we need to roll together, so thanks a lot for riding with us. What’s the challenge you’re working to solve? New York startup Bandwagon is trying to remedy that, offering door-to-door trips to LaGuardia for around $19, as well as Kennedy and Newark airports. Ride-sharing service BandWagon allows passengers to leap to the head of airport taxi stands. The Taxi and Limousine Commission has given it the go-ahead. Bandwagon will allow you to split your expensive airport cab ride with strangers. With a palpable enthusiasm for collaboration, David Mahfouda is plotting a new future for taxi transportation in New York City: one that's more cost-effective, efficient, and sociable. Bandwagon, Mahfouda's new ridesharing service launched at LaGuardia Airport in July, fills idle capacity in taxis by getting passengers who have complementary destinations into the same cab. The appeal of car ownership seems to be fading: “Different things are converging which suggest that we are witnessing a long-term cultural shift.” This a great article that provides statistical evidence for a cultural change that many of us feel in our bones. Personal car ownership is an ideal of the past. Reading this interesting article on Co.Exist reminded us at Bandwagon of our experience in the fall during Hurricane Sandy. As a New York City-based company, we saw the enormous impact the disaster had on transportation and we wondered how taxi-sharing could help. When the Port Authority of NY and NJ called us to help the pile-up of airplane passengers trying to disembark at LaGuardia during the fuel shortage that followed the Hurricane, we jumped at the chance. Bandwagon facilitated hundreds of passengers’ shared taxi rides, making better use of a limited resource. We’ve seen taxi-sharing work before in reaction to a disaster, and we hope it’s there in a future as a tool in major cities. 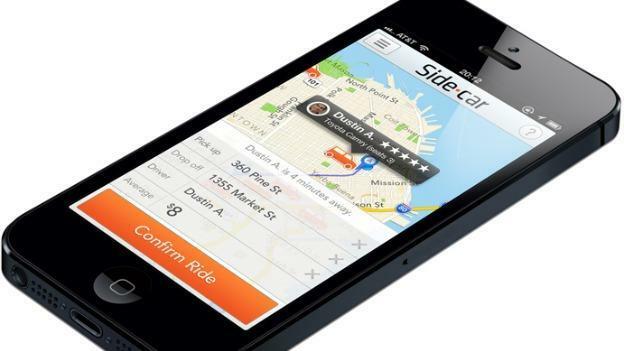 Both New York City and D.C. have come down hard on the so-called “ridesharing” service operated by SideCar. Although it’s still anyone’s guess how East Coast legislation around e-hailing will affect the viability of “ridesharing,” recent enforcement actions don’t bode well. Here at Bandwagon, we’re excited about the demonstrated demand for more affordable for-hire-vehicle transportation. We’re hopeful that real (and legal) ride-sharing can offer a solution. Great article from Slate/ASU/The New America Foundation - this opinion piece on tech in the transportation and taxi space is well-worth reading.